Prince George, B.C. – They say speed kills but tell that to close to 500 motorists in the Prince George area. Prince George RCMP Sgt. Matt LaBelle with Municipal Traffic Services says their summer speed campaign resulted in 489 speeding tickets over the past 60 days. He says 20 of those offenders were travelling at an excessive speed of more than 40 kilometres per hour over the posted limit. LaBelle says those drivers had their vehicle seized for a week and were issued a speeding ticket of at least $368. 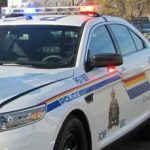 Police targeted high-risk collision locations like Highway 16 and 97, Ferry Avenue and Highway 16, Highway 97 and Central Street at 15th Avenue, Carney Street at Massey Drive and Cowart Road and Vance Road at Highway 16. I think the fines are still a joke. Let us add a zero to the end to that fine. it might start to get peoples attention, ….well this is PG so maybe not. You have the fine plus the loss of the vehicle for 7 days, plus the impound fees, plus the increase to you insurance which can add up to a couple of thousand dollars easily. and let us add the zero as well. And with excessive speed in addition to the one week impound and fees associated with towing and storage, they also have points for $4-500, in addition to that they are classified a dangerous driver which is a $400 surcharge from ICBC for the next 4-years. Add it all up and the total cost is not a $368 dollar fine, but actually closer to $3000. Hope they nailed some of the morons texting! Just today I saw a bimbo hanging a left in a grey Dodge Durango texting while turning a corner! Time to take a baseball bat to these phones. Some people will never get it, and it will take an acccident or a fatality for realization to set in. Confiscate the vehicle for 90 days and a fine! Make it inconvenient and expensive for speeders too! Drastic but tough! Agree. Wish they’d report on the cell phone charges. Perhaps I’ll give them a call and find out. Caught 500 speeders and ignored 50,000 cellphone users. They could get that in a single day if they just cruised the Hart. Rarely see a cop, always see doorknobs doing 120+ in both directions. Been on the hart mid morning for the last couple weeks, saw a couple of vehicles doing around 90-95, same as every other highway leading out of town. Saw a couple drivers using their phones, but certainly not as many as a year ago. They hopefully are getting the message. Came down the Hart yesterday, police were policing, had a car pulled over. The police were policing ? Holy crap, now if we could get By-law By-lawing…. I travel the Hart often, I’ve yet to see anyone doing 120. Usually 90 is status quo. 70’s a might slow anyway. They seem to have missed the Domano 500. 489 speeding tickets? Perhaps the speed limits are set artificially low in some areas? Just sayin’.